David Tennant's Broadchurch co star, Joanthan Bailey, has been chatting to The Sun's TV Magazine about the show and working with David. What can you tell us about Broadchurch? I don’t want to give too much away but it’s set in a small town where an 11-year-old boy is murdered and it affects everyone in the community. I play a wet-behind-the-ears journalist called Olly who is desperate to get a bit of a scoop and goes in like a bull in a china shop. The show should be a thrilling ride. What's David Tennant like to work with? David was brilliant, as was Olivia [Colman]. I couldn’t stop laughing. They are both hilarious and it’s the first time that I have felt like: ‘This can’t be real.’ I got the classic David Tennant stares back. Read the full interview with Jonathan, and other stars of 2013, via The Sun's website here or in today's copy of the paper's free TV guide. As you will recall David was a guest host on the Christian O'Connell Breakfast Show on Absolute Radio last Friday. During his stint on the show David appeard in Christian's alernative Nativity as the Virgin Mary. Thanks to Lora for the MP3s. Film4 are starting a St Trinian's double bill at 5:00pm this afternoon. The action kicks off with the 2007 St Trinain's and continues at 6:55pm with the 2009 sequel St Trinian's II: The Legend Of Fritton's Gold, starring David Tennant as Lord Pomfrey. Both films are repeated one hour later on Film4+1. 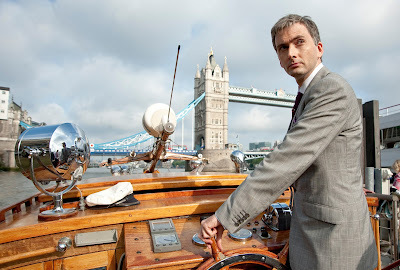 Find out more about St Trinain's II starring David Tennant here. 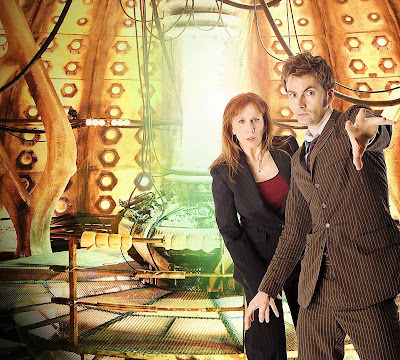 BBC America will be celebrating New Year with a Tenth Doctor TV marathon! The action starts on Monday 31st December at 8am and the back to back David Tennant episodes of Doctor Who will runs through until 10am on Tuesday 1st January. The full schedule is below and further details can be seen on the BBC America website here. Fans in the UK can also see a Tenth Doctor marathon on satellite channel Watch, details of which can be found here. The Guardian's Guide takes a look at what's ahead in the world of television for 2013 and confidently states that David Tennant and his Broadchurch co star Olivia Colman will "reign supreme"
They say: Post-Doctor Who and Peep Show, the brilliant David Tennant and the even better Olivia Colman will be everywhere next year. The rarely resting actors star together in ITV's Broadchurch, an ensemble piece about the media descending on a small seaside town after a boy is murdered. 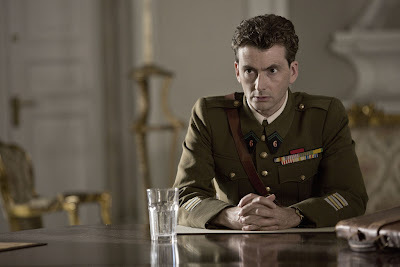 Tennant goes solo in BBC4 wartime yarn Spies Of Warsaw as well as The Politician's Husband. Meanwhile, Colman stars in Run, a pacy Channel 4 drama about four London strangers whose lives are unexpectedly linked.You can read the rest of the article on The Guardian's website here. New promotional photos from Spies Of Warsaw have now been released onto the Polish media. View seventeen new shots here featuring David Tennant and fellow cast members including Janet Montgomery, Alan Corduner, Marcin Dorocinski and Fenella Woolgar. 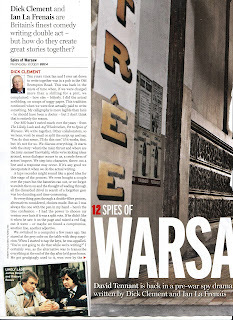 Spies Of Warsaw comes to BBC Four on Wednesday 9th January and TVP1 in Poland on Friday 11th. It is due to be shown on BBC America from 6th February and on ARTE France and UKTV in Australia later in the spring (dates to be announced). David Tennant is interviewed on location in Poland about his new drama Spies Of Warsaw in the new issue of TV Times. Read the article and programme preview below. 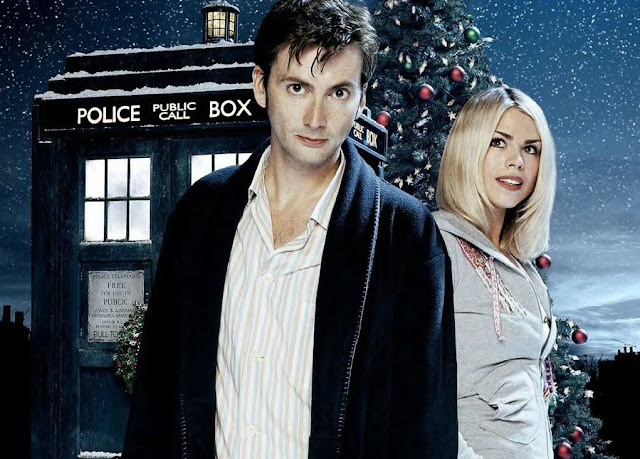 We start with David Tennant's first full episode as the Doctor, The Christmas Invasion. First Broadcast on 25th December 2005. Running Time: 60 Minutes. Viewing Figures: 9.84 million. 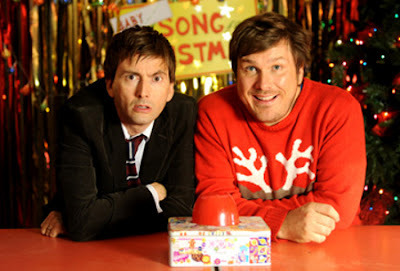 More Christmas Box Office Joy For Nativity 2! 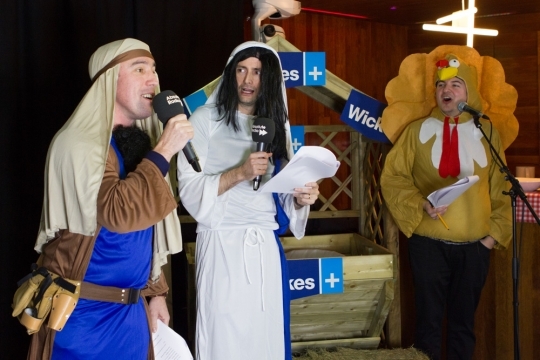 David Tennant's latest film Nativity 2: Danger In The Manger! has continued to perform strongly in UK cinemas. The movie just dropped down one spot in the weekend box office rankings to fourth place, pushed downwards by a strong opening for Life Of Pi. As expected the top spot was held by The Hobbit. Nativity 2 took £1.18m last weekend, bringing its cumulative total up to £7.36m since its release on 23rd November. The amazing performance has defied the sneers of critics and websites alike and ensures that it will be one of the biggest British independent films of 2012! TV & Satellite Week have a quick look at David Tennant's new ITV1 drama, Broadchurch, in their latest issue. 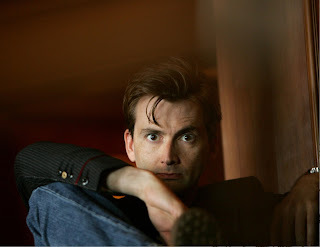 The article is accompanied by the first official publicity photo of David in Character as DI Alec Hardy. Broadchurch is expected to air on ITV1 in Spring. TV&Satellite Week is out now. David Tennant is the cover star of the new issue of TV&Satellite Week as he chats to the magazine about his new BBC Four drama, Spies Of Warsaw. You can read the article above. 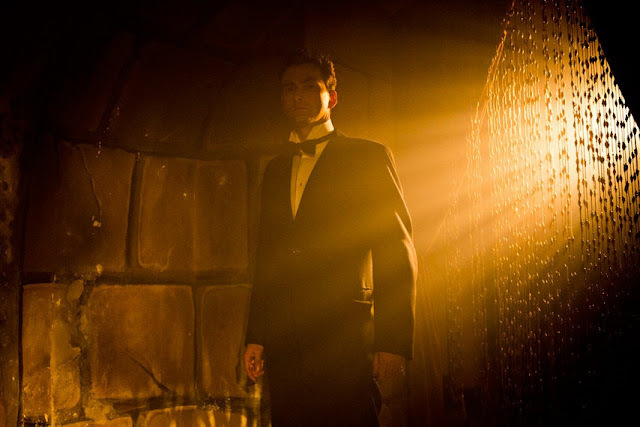 Spies Of Warsaw starts on 9th January 2013 at 9pm on BBC Four. 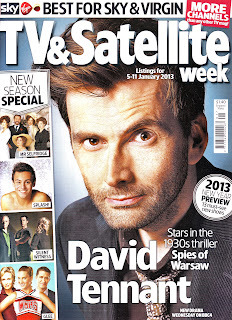 David Tennant and Spies Of Warsaw are featured in the latest issue of Radio Times (5-11 January 2013) which is out today, you can read the article above. Spies Of Warsaw starts on BBC Four on Wednesday 9th January at 9pm. 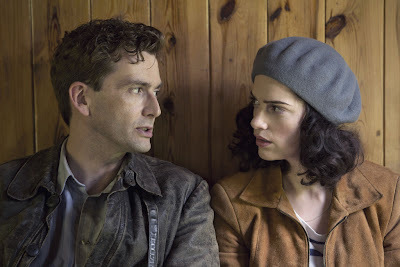 Check out some brand new pictures of David Tennant and Janet Montgomery in Spies Of Warsaw courtesy of the BBC Media Centre. 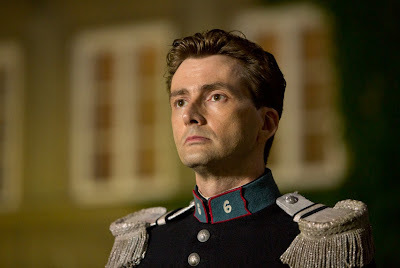 David Tennant plays Jean Francois Mercier, a military hero honoured in the Great War and the Polish -Bolshevik War, who leads a double life. Ostensibly posted to be the military attaché to the French embassy in Warsaw he is also entangled in the world of mystery and espionage in the streets and salons of pre-war Poland. Having extracted information about Nazi tank plans from his German contact, Mercier embarks upon his own fact finding missions in spite of the apathy and disbelief of his embassy contacts. However, his life is further complicated when he meets and becomes irrevocably drawn towards Anna Skarbek (Janet Montgomery), a lawyer of Parisian origin working for the League Of Nations, even though she is already involved with a Russian émigré journalist. 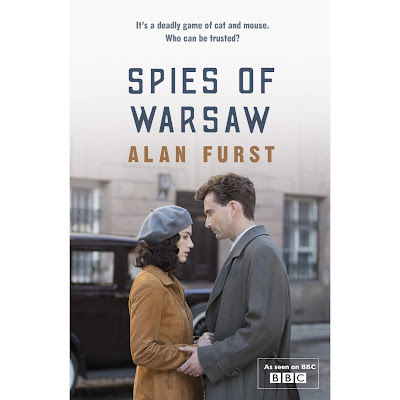 The TV Tie In version of the novel, Spies Of Warsaw, featuring David Tennant and Janet Montgomery on the cover artwork has been released today. The drama will begin airing on BBC Four on Wednesday 9th January 2013 in the UK. It will also air on BBC America in 2013. UK fans click here to buy the book! USA fans click here to buy the book! To celebrate the New Year that is almost upon us we have a gift for all our lovely readers, a fabulous free David Tennant calendar, that will ensure you have a great year! Click here to download the calendar from our image archive. then print off and enjoy! 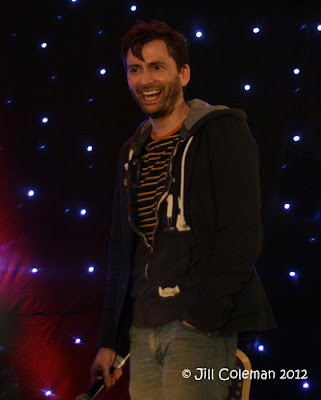 As a slightly late Christmas present, we have some more pictures of David Tennant and Billie Piper on stage for their talk at the Starfury Midnight fan convention last week. There are still more to come, so keep checking back. Feel free to share these around but we only request that you credit the source and don't remove the watermarks. Thanks!